Alone in her room, Julie sighed softly as she kicked off her shoes. She needed to focus on her new life and stop pining for the one she’d left behind before it could kill her. She reached high over her head, her back slightly arched, and felt her muscles stretch from the demands she placed on them. That’s what she needed to do—stretch and appreciate the new demands of running an inn. As she swung forward to reach her toes, a sound in the hallway caught her attention. She froze. The clock on her small fireplace mantle made it clear the hour was much too late for a guest to be wandering around on the third floor. She wondered for a moment if Hannah might be coming up to see her. Then she thought of Shirley. Perhaps Shirley had found something downstairs that needed Julie’s attention, or a piece of juicy local gossip she had to either share or burst. Julie raised herself to standing and waited for the knock at the door. Quietly, Julie crept to the door and opened it a crack. She saw that the door to the tower suite hung slightly open. It seemed the mysterious Daniel Franklin had taken to wandering around at an unusually late hour. I knew those blue eyes were trouble. She slipped out of her room and tiptoed softly to his door. When she peeked in the open doorway, the room was empty. The beautiful brass bed was still neatly made. So why was her newest guest wandering around the inn instead of sleeping? She padded barefoot down the smooth wood stairs to the second floor and glanced down the hallway. No sign of movement. She continued down to the first floor and peeked into the tearoom. The pastry case was empty for the night, but the case’s light was still on, bathing the room in enough light to be certain no one lurked inside. Then she checked the small library located beside the tearoom. Shirley sat curled up in one of the darkly upholstered Queen Anne chairs next to the fireplace. She had half glasses perched on the end of her nose as she squinted at one of the leather-bound books about Missouri history. Julie backed up quietly without speaking. She didn’t want Daniel to be alerted by any sound, and a shouted greeting from Shirley would certainly carry over half the downstairs. She quickly jerked open the door and spotted Daniel crouched down in the hall outside the kitchen, poking around in the padlock on the cellar door with a thick piece of wire. His head snapped toward her at the sound, his eyes wide in alarm. This book kept my attention throughout. It was an okay book, I didn't really connect with the characters very well for some reason. I wanted to find out who was behind the murder and the cover-up, so it kept me turning the pages. This is a quick read, it is possible to read it in one day. I would read more books in this series if given the opportunity. Maybe I could connect with some of the other characters in this series better. Good job, this was a well thought out mystery. Cozy mysteries have something in common with children’s books – they struggle to get much respect in the “literary” world. They’re light and fun and filled with hope, things that tend to make them easy for the lofty world of literature to scorn. Cozies are an escape. They’re entertainment. Dare I say it? Cozies are a bit of fluff, but a wonderful bit. If you think about any harder edged mystery series, you’ll notice they usually get darker and darker as the series progresses. As the authors “up the stakes” for the characters, they end up raining misery down on them. Since mystery heroes are often heavily flawed people anyway, the pressure of book after book of misery and loss can turn a series pretty bleak. 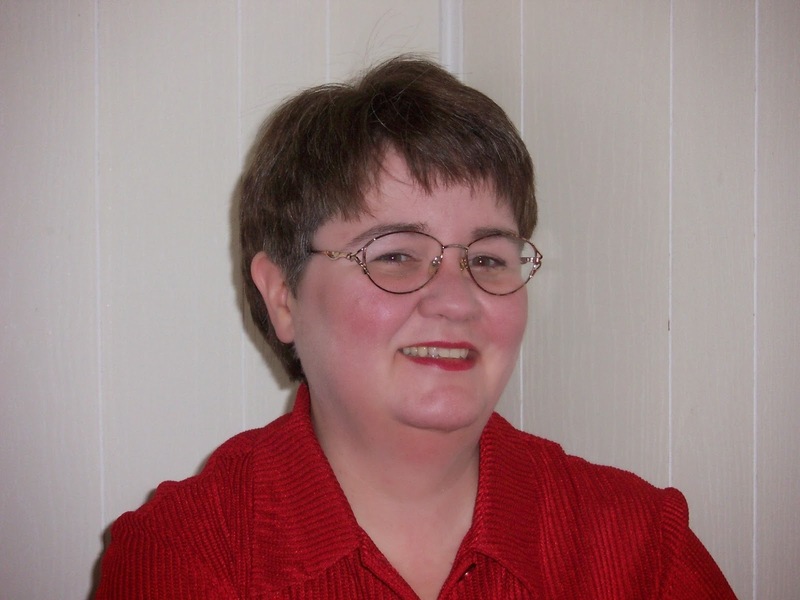 But cozy mysteries usually don’t fall into this trap – so why is that? For one, a cozy mystery is usually about character relationships as much as it is about the puzzle of the mystery. And for the amateur detective, the relationships might be annoying or frustrating or even a teensy bit dysfunctional, but they’re almost always marked by love. The main character in a cozy mystery nearly always has someone who loves him or her unconditionally – even if it’s just the cat. The character doesn’t have to “go it alone” when things get tough. The mystery is usually set in a tight community and so there are long-term relationships in play. In many of the mysteries I’ve written, THREADS OF DECEIT included, the main character has both a light romantic connection with someone and a strong, platonic bond with someone. These two people then give the character a place to rest emotionally when things get tough. In THREADS OF DECEIT, the character of Hannah isn’t exactly cuddly, but she always has Julie’s back when things get tough. Also, cozy mysteries are puzzle based, not trauma based. In a harder edged mystery, someone dies horribly and we are usually invited to ponder the horror of the victim’s last hours. In a cozy, all dying takes place off stage, often involves someone we aren’t particularly attached to (or sometimes someone we rather heavily dislike) and the focus is on solving the puzzle. Puzzle solving is fun, and the main character is usually having a good time working out the solution – even when he or she stumbles into trouble. 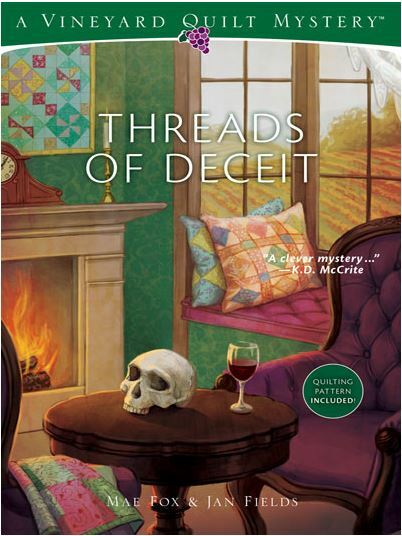 In THREADS OF DECEIT, Julie is just beginning to chafe under the demands of her job when an adventure falls in her lap, and she’s thrilled to pursue it. Even when things get rocky, Julie never considers just dropping the mystery, because she’s not a quitter (and because she loves the thrill of the hunt). Another element of the cozy mystery is that the main character is almost always whole. Edgier mysteries tend to have main characters who are filled with pain – sorrow or rage or some kind of driving angst. The characters are broken by some horrible event. Now, a cozy character may be dealing with a difficult life situation and with change, but we never get the feeling the person is broken. A cozy amateur detective usually has a busy life filled with non-mystery work or volunteering or passion for some craft – the cozy amateur detective doesn’t usually live solely for the mystery. Instead, the mystery drops into a full life and gives the amateur detective something new and adventurous to do. All of these things combine to give us mysteries that both entertain and boost our own morale as we read about supportive friends, productive people, and problems that are well able to be solved. They’re a happy pill in book form, an addiction that makes us happier people when we indulge in it. In a world that worries us daily, cozies remind us that they’re always hope. What more could we ask of them?